High-Quality Assisted Opening Knives for Everyday Carry. When you're serious about having your blade at the ready, you need the best one-hand assisted opening knives available to the public. That's where KnifeArt comes in. 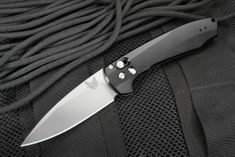 Our huge inventory is packed with the highest quality knives from the world's most reputable manufacturers. Since we carry a wide array of tactical knives, you can choose one that best fits your needs. These tactical blades also make great gifts for avid outdoorsmen, law enforcement personnel and military service members. Looking for something lightweight and easy to carry that doesn't mess around when it comes to durability? 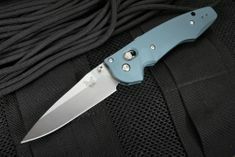 Check out our Zero Tolerance Knives, which features American stainless S30-V steel with tungsten DLC coating. 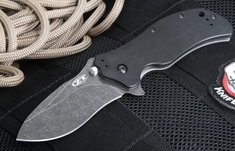 Need a rugged and reliable assisted-opening knife that blends style and functionality? 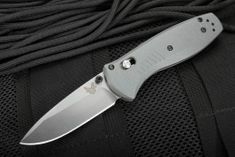 You'll love our Benchmade Knives Barrage, Emissary and Subrosa Matthew Lerch Design folding knives. They're available with partially serrated blades, ambidextrous thumb openers and super-safe locking mechanisms, so they're ideal for users of all skill levels. Indoors and out, these must-have knives are ideal for almost any collection. 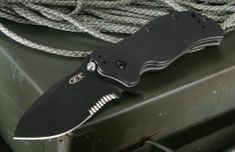 The versatile and reliable tactical knives in our inventory are made from the highest quality materials. That's all we carry because we are committed to providing only the best. The blades you'll find here have been vetted by our in-house experts and passed our high standards with flying colors. Whether you need a short, lightweight knife or a more substantial blade, you'll find it at KnifeArt.